Gyms are by their very nature all about health and wellbeing. Therefore, its important that gyms and health clubs send a consistent message not just about exercise, but also for all aspects of healthy living and particularly diet. Does selling drinks and snacks over the counter create a headache for your staff and stock loss costs for you? Snack Savvy can prevent these frustrations and deliver a hassle free vending service that offers healthy commissions and a wide product range of gym focused drinks and snacks 24/7. Make the message consistent. Healthy bodies need healthy food as well as exercise. Make selling snacks and drinks more profitable. Selling snacks and drinks is not the core of your business and takes focus away from what makes you the most money – selling gym memberships and personal training. Not only that, theft is also often a big issue with counter top displays and drink fridges and coupled with expensive wages for staff to manage stock, most gyms actually lose money from selling snacks and drinks. We put an instant stop to these losses and, for approved venues, also pay healthy commissions on top! Make snacks and drinks available around the clock without the need for staff, which is great for 24/7 gyms. Make paying for products easy with both coin and note payment systems available. Thanks for the service guys. It’s taken away a real headache we had with stock going missing, especially protein products. The products are also a great fit for our gym. Keep up the good work! 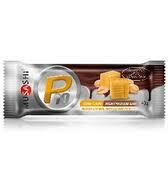 Check out some of the popular drinks and snacks currently enjoyed in gyms and health Clubs. 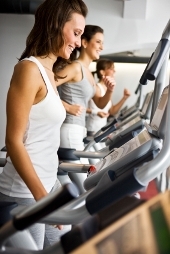 Product lists are tailored to your health club or gym. Suggestions and feedback are always welcomed.